bulbs can be roasted or boiled, but are best when slow cooked and dried. 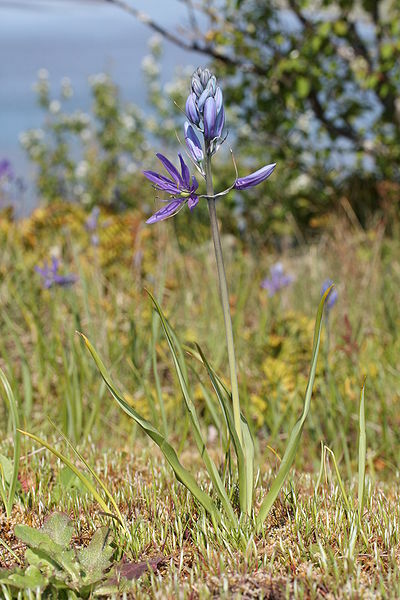 the variety in Ontario is Eastern camas (Camassia scilloides). grows in moist plains and foothill regions. warning: do not confuse bulbs with those of the poisonous Death Camases, such as Mountain Death-Camas (Zigadenus elegans) and Meadow Death-Camas (Zigadenus venenosus), which grow in similar areas and have similar looking bulbs, but have white flowers.